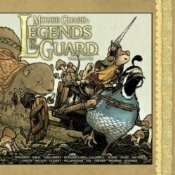 An all-ages feudal fantasy created by David Petersen, MOUSE GUARD's central series is written and drawn by David Petersen himself and I cannot commend its latest instalment, MOUSE GUARD VOL 3: THE BLACK AXE highly enough as the best place to start, taking place as it does several decades prior to volume one. This is the second of its satellite series in which Petersen opens the world up to other creators he admires for short stories linked by his own framing sequences. There are all kinds of treatments here for you to discover, but two of my favourites were 'Love Of The Sea' by Christian Slade and 'Back & Forth' by Jackson Sze. Visually they couldn't be more different. 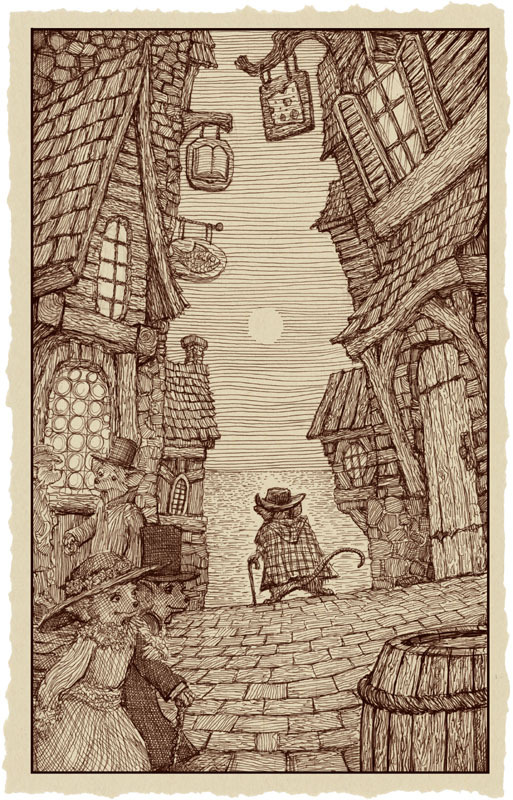 The latter finds veteran explorer Faramond and newly qualified guardmouse Owain journeying from harbour to harbour, mountain to tree-tops, mapping out potential safe passages and trading routes while discarding those they deem perilous like the cavernous Forgotten Realm. Undoubtedly computer generated - you can just see the backlight shining through - the effect is yet one of bright brushstrokes of vivid colour as the rustic, riverside Bridgeporte, for example, its lodgings set atop a natural arch, gleams in the sun. 'Love Of The Sea', by contrast, is closer to Jeremy A. Bastien's CURSED PIRATE GIRL liberated from such insanely intricate detail. The faces have a mid-Disney look to them (think: The Rescuers), but the silent story is performed in clean sepia line with lovely textures on panels coloured and frayed to pass as old paper. 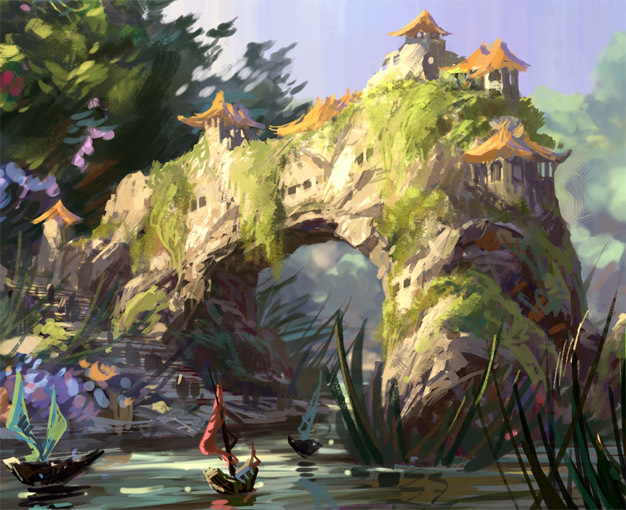 A mouse, a mermaid, and the passage of time. Simple, but effortlessly moving. Awww.